According to reports, FC Barcelona gaffer, Ernesto Valverde is upset with Kevin-Prince Boateng’s attitude towards training since he joined the club. Javi Miguel, a Spanish journalist who disclosed this to Club de la Mitjanit on Catalunya Radio, the 31-year-old lack of interest in training is disappointing the manager. The Ghanaian forward joined the La Liga side on a six-month loan deal from Italian side, Sassuolo during the January transfer window and has only made two appearances for the Catalan giants. The five-time UEFA Champions League winners signed the former AC Milan star as a backup for Luiz Suarez after Dennis Suarez joined Arsenal on loan. 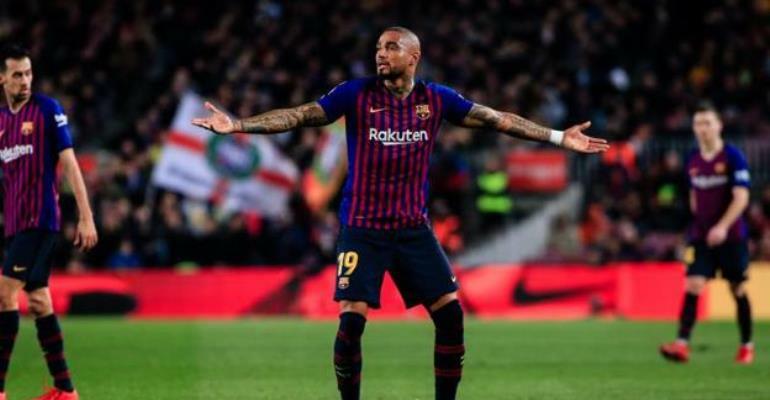 Boateng's last appearance in Barcelona shirt was on February 16 and two months on, the player is yet to feature for Coach Valverde's side and this is attributed to the player’s attitude to training. “He didn’t - and now it’s not beyond the realms of possibility that he’s already played his final match for the club”, the journalist said. "Boateng has disappointed the coaches, also at the extra-sporting level. He does not like to train a lot"